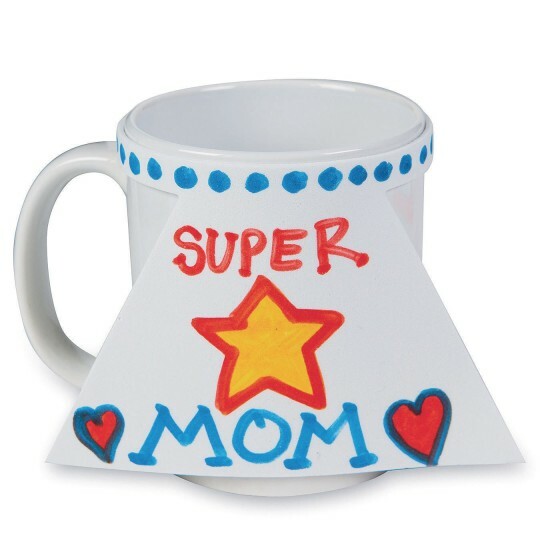 Liven up a mug with a “cape”! Measures 2-1/8”W at top of cape, 5-1/8” at bottom and band is 11-5/8”L. 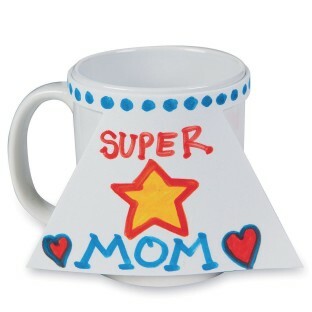 Create a super hero, king, queen, or more for someone special and liven up a mug with a custom mug “cape”. Foam cape fits standard size mugs and comes with double stick tape for an adjustable fit. 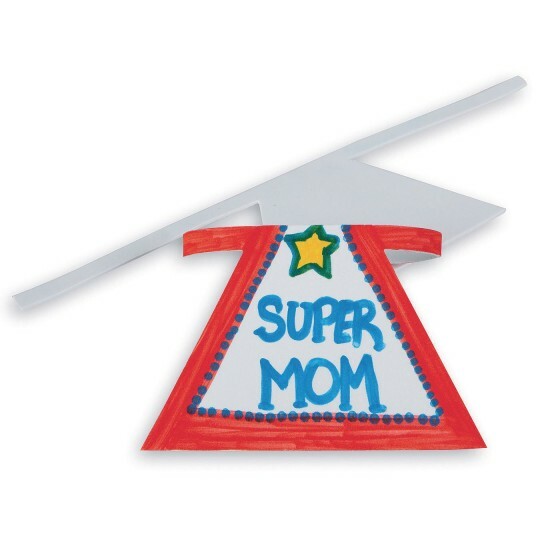 Cape can be decorated with permanent markers, stickers, and more! Measures 2-1/8”W at top of cape, 5-1/8” at bottom and band is 11-5/8”L. 2mm thick. Fits perfectly around our CM257 Mug!